Since it's back to school season and with all the back to school promotion going on everywhere, I've been feeling very nostalgic about the good ole school days when life was carefree and responsibilities seemed a thousand years away. 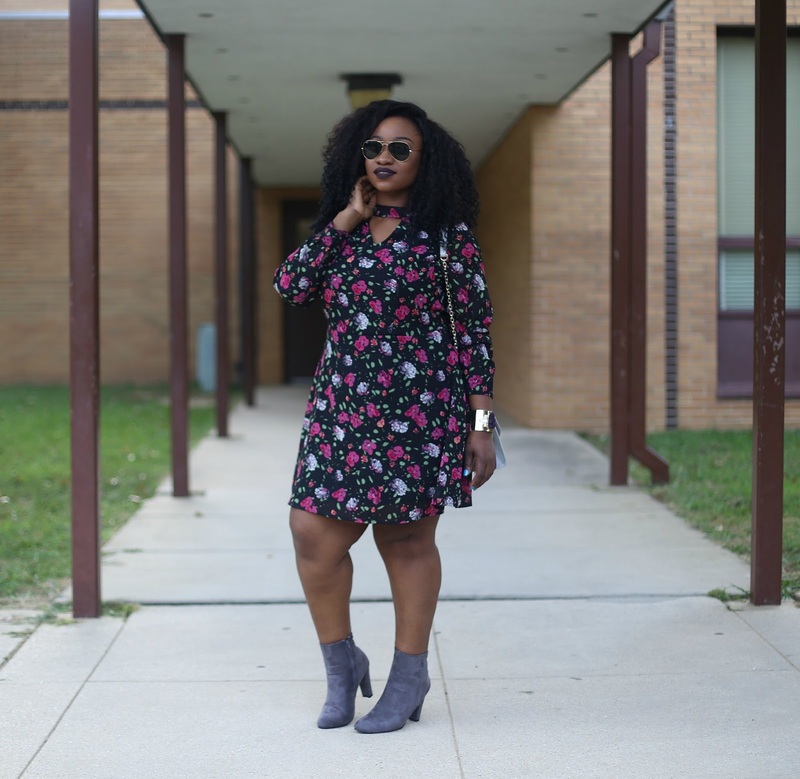 So, Fashion to Figure and I collaborated to bring you guys a selection of back to school looks featuring the cool kids. This girl is all about showing some skin but still keeping it classy and trendy. 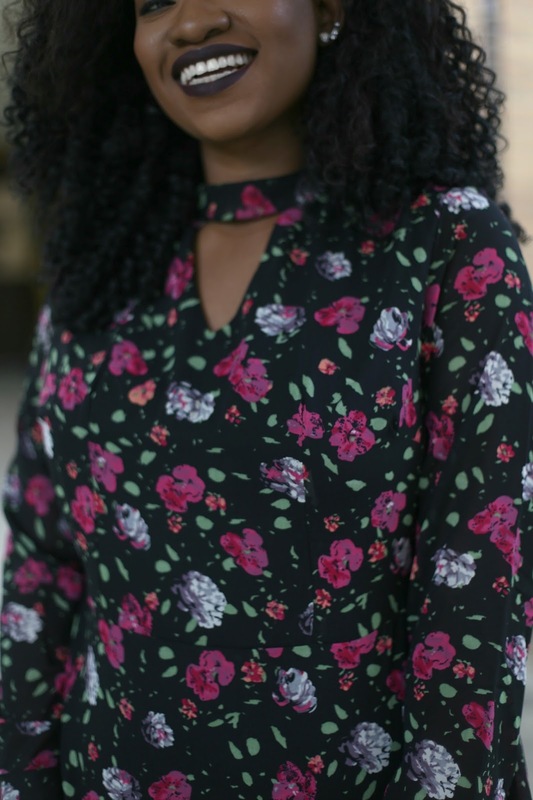 I chose this beautiful, floral print dress that features a cut out neckline because it is a really great transitional piece for Fall. 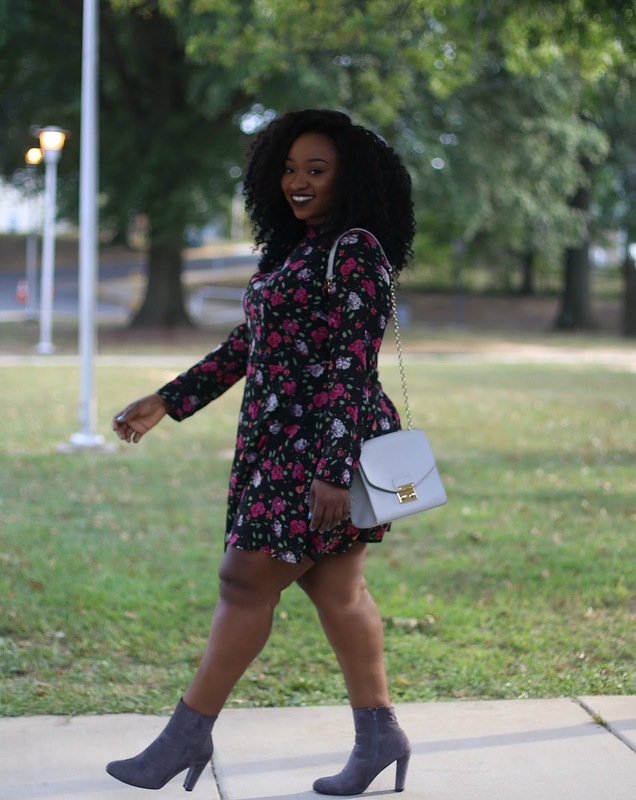 It can be paired with some tights during the cooler days and will look great layered with a midi jacket or even a sweater. 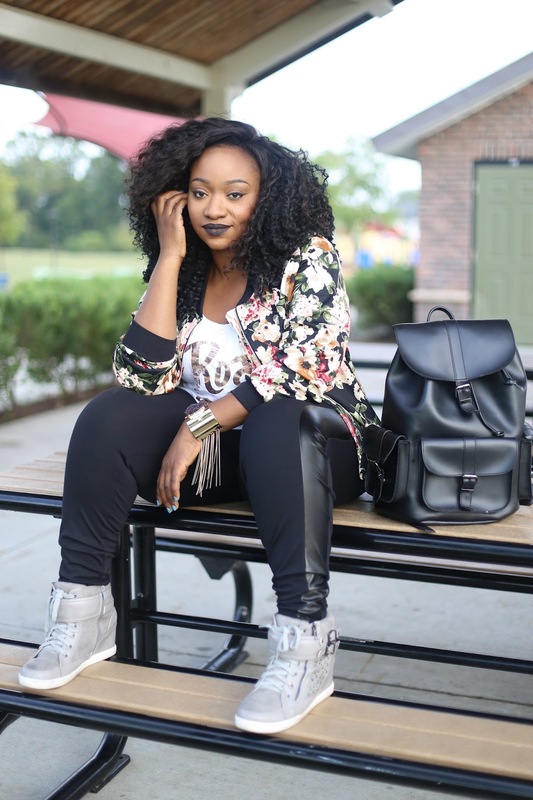 I paired it with this grey booties also from FTF which are super comfortable for jetting from class to class all day. This girl is edgy, on trend and does not sacrifice comfort for fashion. 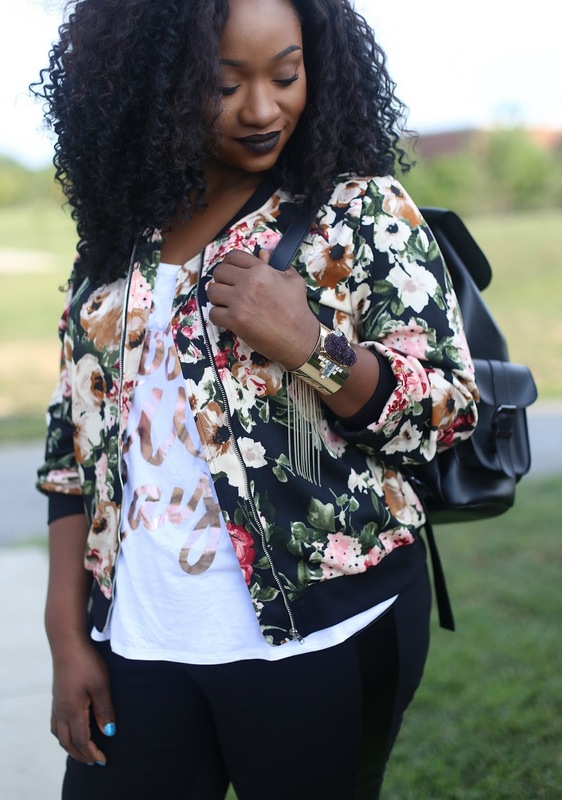 For this look, I picked up this hot commodity floral bomber jacket which I saw on blogger bae Val of Fashion on a Curve and just knew I had to have it. It is trendy, edgy and super comfortable. Also, it is another great layering piece. I paired it with these equally comfy faux leather panel leggings which will be a stable come cooler weather. and a super cute graphic tee. And finally, this girl knows the trends and knows the value of basics. Basics will always be trendy and will never go out of style. Take this black midi for example, I cannot remember a time when a black dress was not considered stylish. 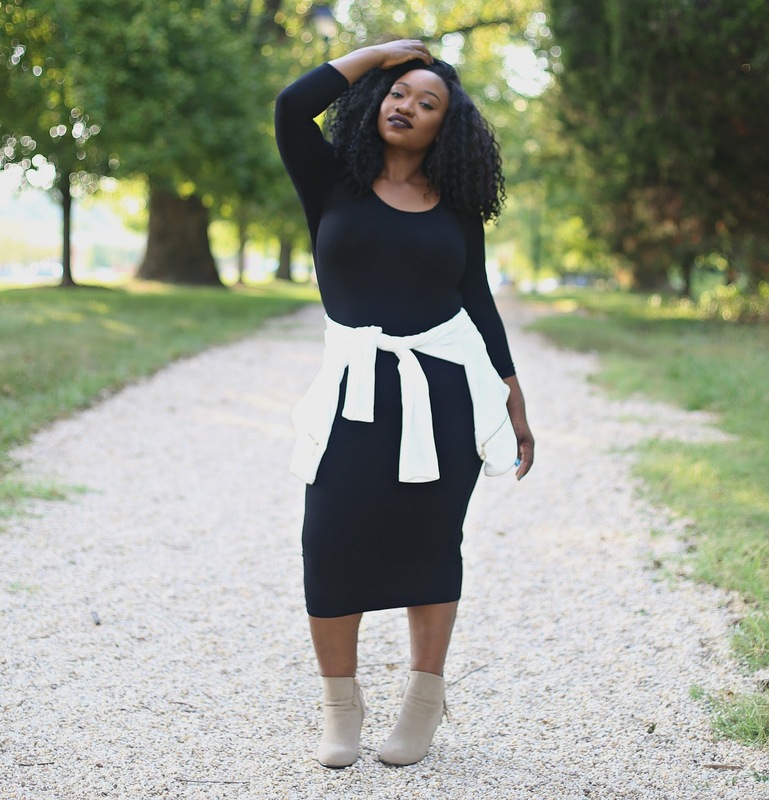 This midi dress is easy glam at its finest and can be dressed up, down and sideways. I went with a casual flair by pairing it with tan booties and a tied jacket for chill weather. But I can also easily style this with stiletto heels or sandals. You just got to love that versatility!